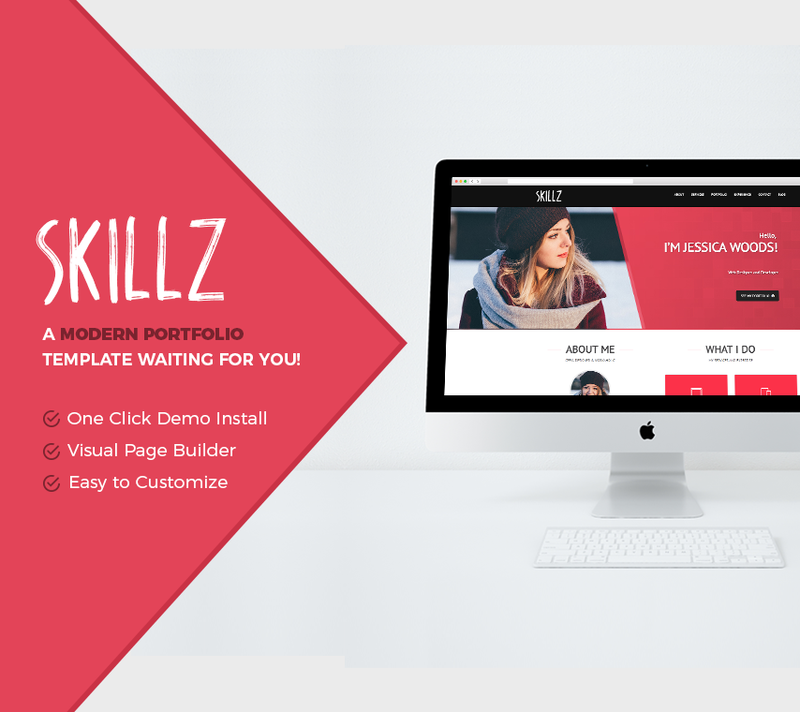 Skillz is a clean and well crafted personal WordPress theme. It’s a Resume / CV / Portfolio theme focused on creative professionals, whether designers, programmers or photographers. It is perfect to promote your work as a freelancer or use it as a complete online resume. Easily adapt the theme to your visual identity through the theme customization panel, where you can upload the logo and change as cores, theme fonts in a few clicks and customize even more without the need for programming knowledge. If you want to modify the theme even more, it also has King Composer included , a drag & drop page builder where you can build new pages visually without code knowledge.